It would appear the article we ran at the start of the year looking at the use of lactose in beer – its history and why brewers are so in love with it right now – came not a moment too soon. In the past week, we've had two land at Crafty Towers and spoken to another brewery owner where they're planning to release a mixed four-pack of different flavoured ones later in the year. As for POG from Green Beacon, it's the beer created to mark the Brisbane brewery's sixth birthday. The POG of the title stands for passionfruit, orange (of the blood variety) and guava, while they've held little back on the hop front and finished things off with the requisite vanilla and lactose. If you know Green Beacon beers well and decided to predict how POG might turn out, there's a good chance you'd be right. Whatever beer style they take on, they tend to deliver with a refined touch. And it's no different here. 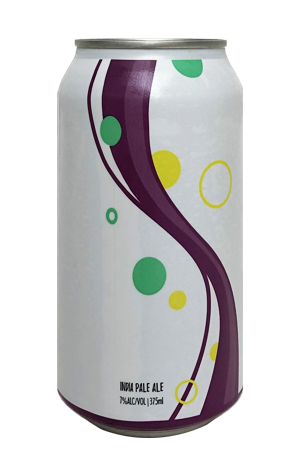 So, while the milkshake-y additions contribute a little extra body, softness and sweetness, they do so without contributing any excess weight or flabbiness, instead leaving the tropical fruits to lead the charge in an enjoyable, eye-catchingly packaged newcomer to the long line of quality IPAs from Green Beacon.